Did you hear the sad news about Patrick Swayze? He was just diagnosed with cancer and may only have weeks to live. How awful, right? 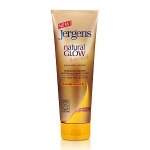 In his honor, I think it’s only right to recommend a product that gives you a “That was the summer we went to Kellerman’s” glow while shielding your skin from damaging rays. 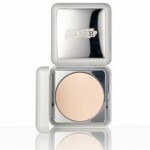 La Mer SPF 18 Fluid Tint $65 captures beneficial light while diverting potentially damaging light. It brings a touch of color to the skin for a smooth, even finish. 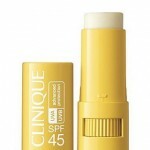 I’ve been using it over a light moisturizer and it actually provides coverage as well. If you need light-to-medium coverage, I totes recommend it. Designed for daily use, this water-borne formula absorbs instantly into the skin to provide broad-spectrum UVA/UVB protection. A trio of natural and sea-derived ingredients uniquely benefit the skin. Gemstones absorb light energy, transforming it into beneficial green light to enhance anti-oxidant activity. Photonic spheres within The SPF 18 Fluid Tint redirect and diffuse light. Smart, light-reactive seaweeds impart natural humectant properties to bind moisture – preventing dehydration. 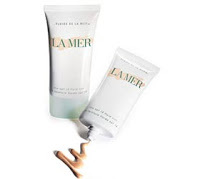 Worn over Crème de la Mer, The SPF 18 Fluid Tint acts as a generator, actually boosting its efficacy. Rock it daily and you’ll be looking so young and spry, people might even start calling you Baby. And it won’t occur to you to mind. I began blog about the beauty.